New career? Meet the Irish Association of Holistic Medicine at Jobs Expo Dublin. 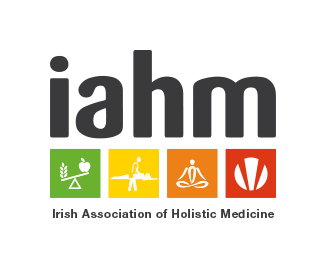 The Irish Association of Holistic Medicine (IAHM) is set to return to Jobs Expo in Dublin. The Irish Association of Holistic Medicine is Ireland’s premier college for the training of holistic therapists. Their graduates in Nutrition, Ki Massage and Yoga have successfully pioneered the thriving field of holistic health and well-being in Ireland. This year the college celebrates its 30th anniversary with the introduction of a new dual qualification programme as a nutritional therapist and holistic health coach. All of IAHM’s courses are designed and delivered by practitioners with many years of experience. They are able to give students both practical skills and academic learning. Holistic medicine offers the potential for a lucrative part-time or full-time career, doing work gives great job satisfaction and flexible working hours. The Irish Association of Holistic Medicine will be exhibiting at Jobs Expo Dublin on 7-8 May 2016 at Croke Park. https://www.jobsexpo.ie/wp-content/uploads/2015/09/144088247775055.png 271 326 JobsExpo https://www.jobsexpo.ie/wp-content/uploads/2015/03/Jobs-Expo-Logo-final-White-e1426555047383-300x123.jpg JobsExpo2016-04-21 11:22:012017-02-10 11:27:47New career? Meet the Irish Association of Holistic Medicine at Jobs Expo Dublin.